As a millennial, your responsibilities will begin piling up as soon as you graduate from college. These often mundane, everyday tasks can leave you thinking: “There’s got to be a better way to do this.” Luckily for you, there is a better way. You can automate your daily tasks. Take a look at how our step-by-step and day-by-day ultimate guide to automation can help you become an adulting pro in just 30 days. Many people are already paying at least some of their bills online. However, it’s time you fully automate this process if possible. Today, your goal is to gather all of your monthly bills into one place. This way, you’ll know how much you owe and when your payments are due. The task of the day is to pay attention to when you get paid and compare that to when your bills are due. This will help you set up automatic payments and save money by moving to a bank with no overdraft fees. In addition, this can help you pocket more cash by avoiding late payment fees with your creditors. You may be able to set up automatic payments through your utility companies, wireless provider, and other vendors. But, you can also set up this service through some online banks. By taking care of this now, you’ll never again have to worry about your bills being paid on time. Some apps even pay you early. There are lots of different apps, programs, and systems available that can help you cut down on the amount of time you spend making grocery lists and shopping. Today, research your available options such as Amazon’s Subscribe & Save or Jet. You can also check to see if your local grocery store chain offers a delivery service. Now that you know what’s available, choose what works best for you. Some grocery stores will do the shopping and deliver your food to your door. Others will package up your food and have it waiting for pickup at the customer service desk. Weight the pros and cons to decide what option will save you both time and money. Once you have a plan, it’s time to put it into action. Go ahead and try out your grocery store delivery service and see whether this actually eliminates the impulse purchases you might have made if you had done the shopping yourself. Then, assess how much money you actually saved by using the service. Find your favorite recipes online or in old-fashioned cookbooks. Take the time to compile your favs and begin thinking about cooking these meals. Choose an app such as Menu Planner to help you plan your meals. Some apps will let you input your own recipes and then set them up on an automatic rotation. This is a cool feature as this form of automation helps you save money. How? You’ll only buy the food you need and thus you won’t spend unnecessarily or waste food. Some meal planning apps help you prepare to cook for the rest of the week, whereas others get you used to cooking on a daily basis. Either way, you won’t waste time fumbling around to figure out what’s for dinner. Go through your closet and drawers. Get rid of what is worn out or in disrepair. Make a donation to a charity or sell discarded items in a garage sale. You can also try selling your clothing on a buy and sell app like Close5, OfferUp or LetGo – all of which help you declutter while making a bit of extra cash. The key is to actually get rid of what you’ve decided to purge. Do you wear pants nearly every day? Or do you always wear skirts to work but never a dress? Perhaps you’re a lover of comfy yoga attire? You may not have noticed, but many successful celebrities have automated their wardrobes to cut down on how many daily decisions they have to make. If you already gravitate toward certain colors or specific styles of clothing, you are well on your way to automating your wardrobe. Organize your clothing by color or type. For example, group all your pants together and gather your shirts in one place. This will make it easy for you to dress each day, saving you time and hassle. To take this one step further and save more money, don’t buy clothing that doesn’t fit into your wardrobe. It’s not uncommon to carry your phone around 24/7. In fact, in many cases, you likely set your phone down right in front of you “just in case.” If this sounds familiar, you might benefit from paying attention to your phone habits. Do you send tons of text messages? Perhaps you message your spouse daily when you’re on your way home from work. Wouldn’t it be nice to automate this task? Did you know you can set your phone up to automatically switch to vibrate at night so you don’t get phone calls that wake you up? You can also use an app like Tasker to help you automate different tasks. For example, you can have Tasker automatically open apps at a certain time of day, or when you reach a certain geographical location. It’s a paid app that’s only available on Android, but if you live with your eyes glued to your smartphone, it may be a helpful way to save time. The more you automate your phone usage, the more time you’ll have to spend on important things. Now that you’re halfway through your automating process, you may need a break. On day 15, go do something fun. You deserve a day off from adulting! Many people live paycheck-to-paycheck without any savings for an emergency. But, it doesn’t have to be this way. Today, check out savings options that can help you save for a rainy day. 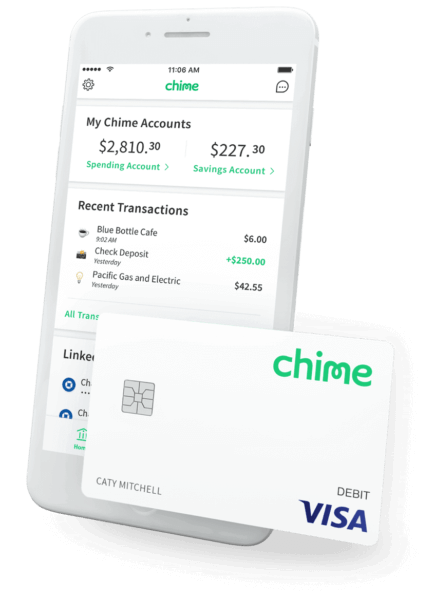 For example, Chime’s savings account can help you save “spare change” by rounding up all of your purchases and putting this amount into your savings account. Now it’s time to make a commitment to start saving. Before you know it, you’ll have a few hundred dollars set aside for emergencies, investing, or even for that long awaited vacation you’ve been dreaming of. Did you know you can automate your investments? There are many different options available online that can help you with this process, such as Betterment and Wealthfront. Do a little investigating to help you decide which one is best for you. If you earmarked your Chime savings for a particular purpose other than investing, perhaps you can also sock away money into an investment account. Online platforms like Acorns and Robinhood can help you get going by investing small amounts automatically. Look at your budget to find ways to save so you can begin auto-investing for the future. When you send the same types of emails over and over, you may wonder if there’s a better way to do this. Luckily, there is. Today, you can make a list of the common phrases or messages you send to help you start automating your email. If you’re a Mac user, CheatSheet can help you with keyboard shortcuts and save you time. Another choice for any user is Gorgias. This shortcut uses templates to help you create messages that you commonly send with the touch of just one button. Another shortcut: If you’re a Gmail user, you can set up canned responses for commonly sent email messages. Create a list of chores you do on a regular basis, such as laundry, cleaning, dishes, and other tasks. Obviously, automating your chores doesn’t mean someone else will do them for you (wouldn’t this be nice?) But, it can help you get them done faster. Set up a schedule of chores on a calendar app like Google Calendar. Creating a plan for chores and repairs can save you time and keep your days organized. After all of those chores, it might be a good idea to take a day off to unwind. Rent a movie or go for a bike ride. Do whatever it is that helps you relax. Did you know you could get your apps to work together? IFTTT is a one button shortcut for what you do on a regular basis, saving you time. Check it out to help you automate your life. Have you always wanted to go on vacation to Mexico? Or, maybe you’re dreaming about a cruise? Figure out where you want to go and commit to make it happen through automation. Using websites such as TripAdvisor, Airfarewatchdog.com, or Booking.com, you can watch for vacation and airline deals on a daily basis. You can even get alerts when hotel or airfare prices drop. Automating your home can help provide you with comfort, convenience, and sometimes even some money savings. One way to automate your home is with Amazon Echo. It can control and run many aspects of your home, like reading the news, providing information, and more. There are also other systems to choose from, such as Ivee, which can be used in more than one room of your home. Automation at home can also include your TV and movie habits. There are some apps that can help you find popular TV shows and movies, as well as tell you what’s on TV every day. Check out Trakt.tv to automatically track what you’re watching and help you choose new programming based on your interests and viewing history. On day 30, it’s time to go out and celebrate. You just automated several major areas of your life in just 30 days. Going forward, you can now begin to see the fruits of your success: Automating will save you both time and money.